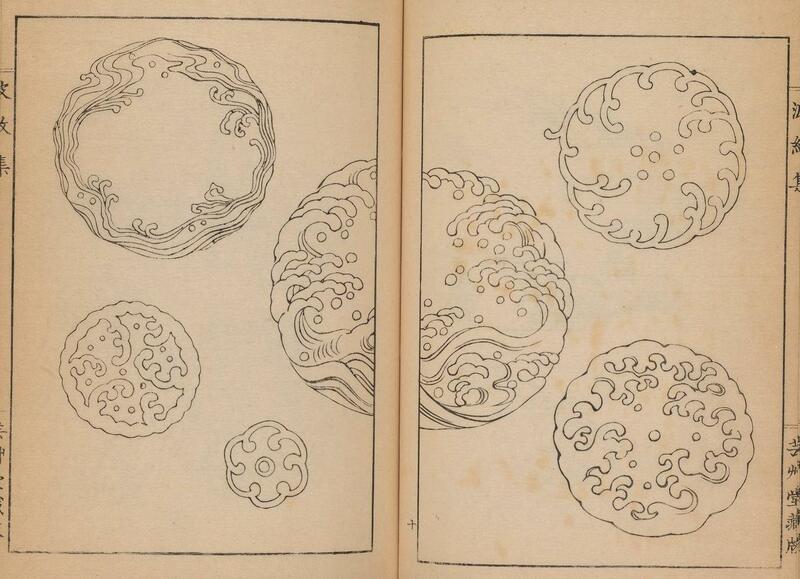 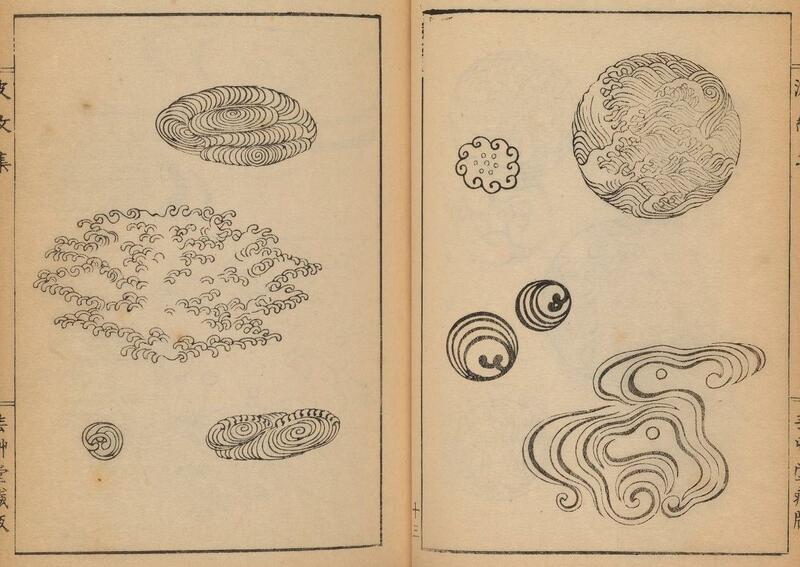 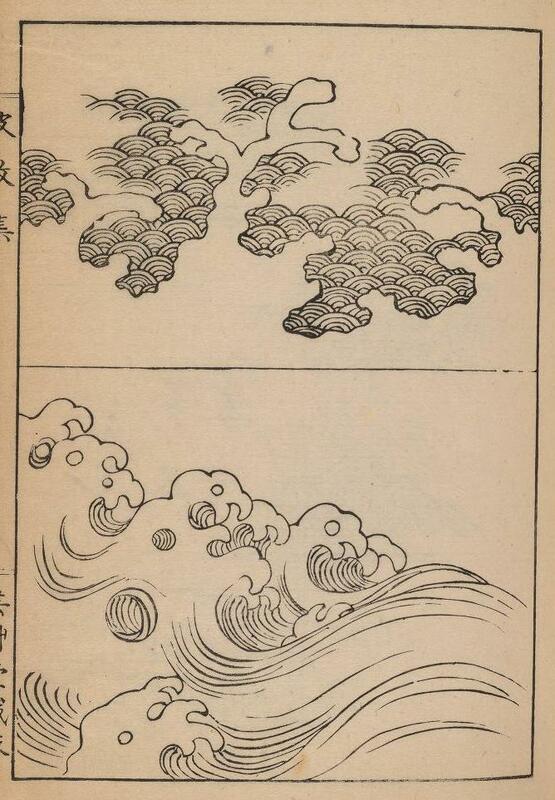 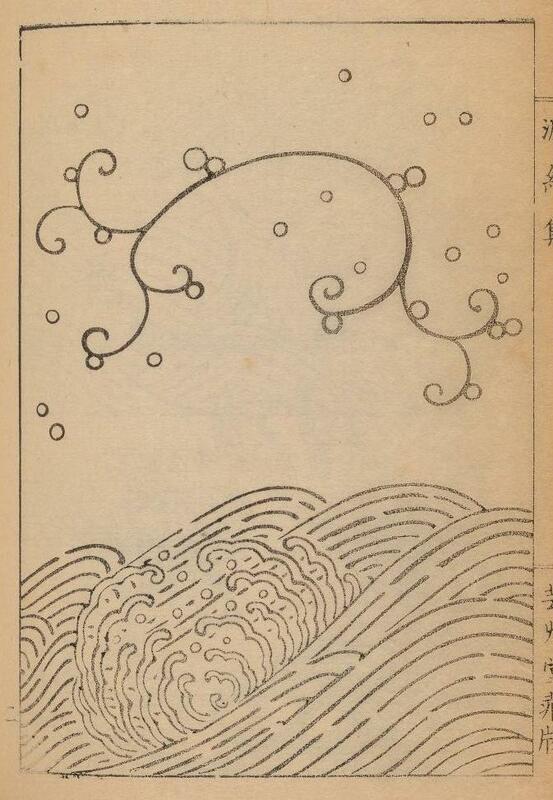 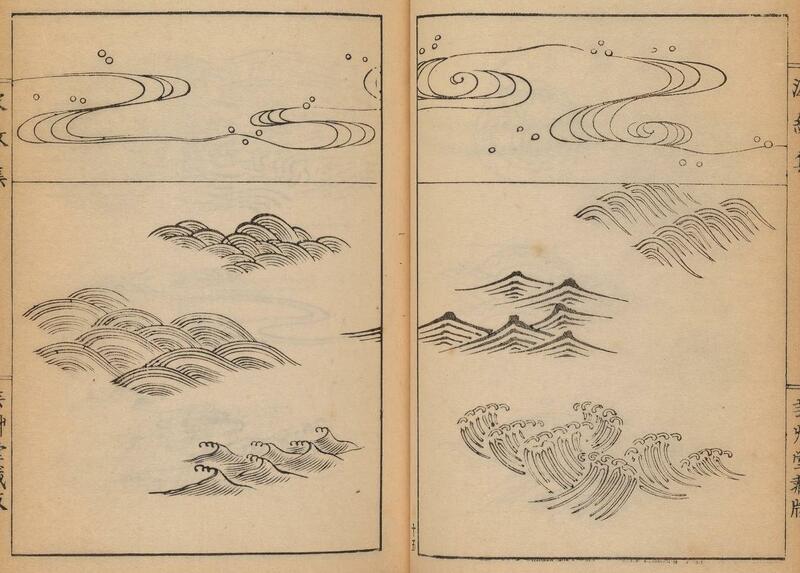 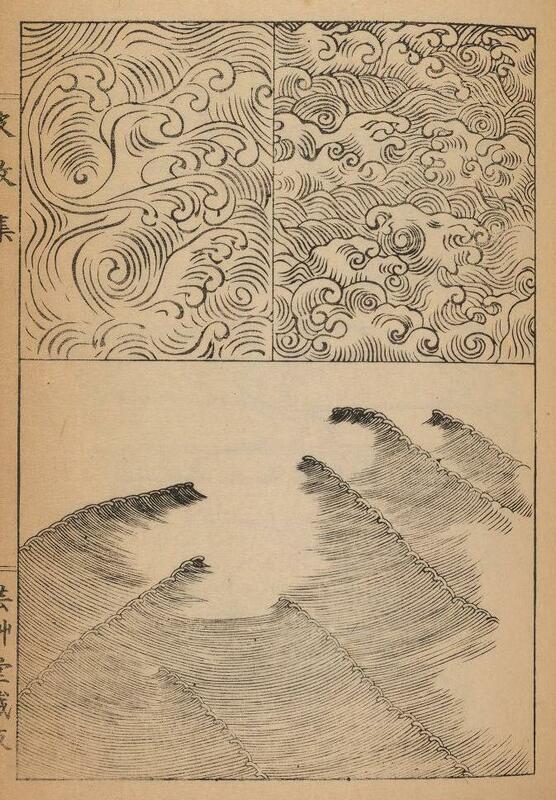 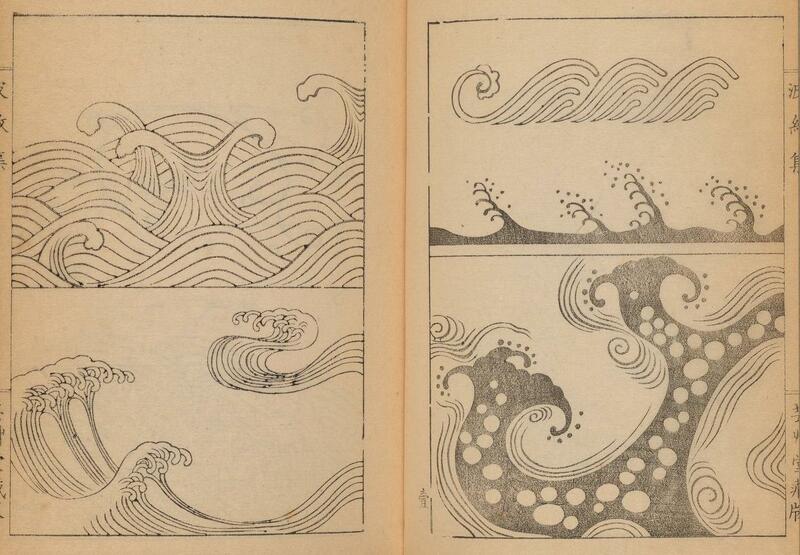 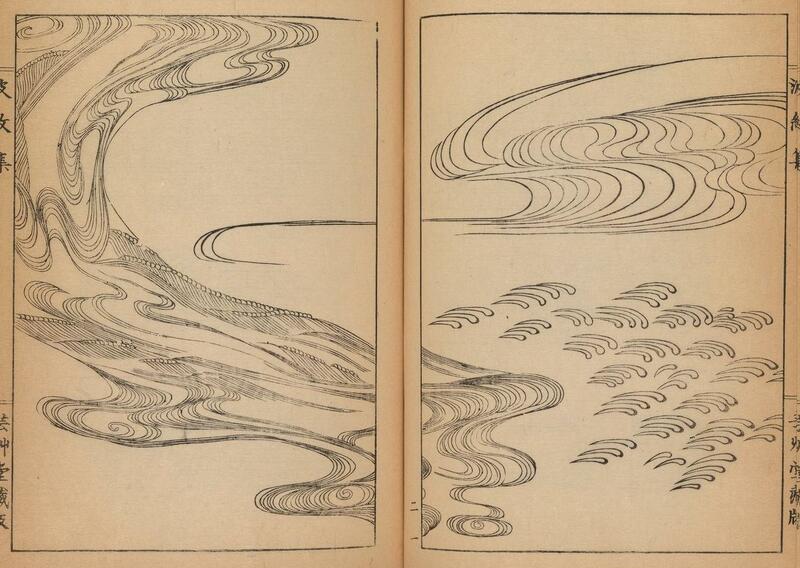 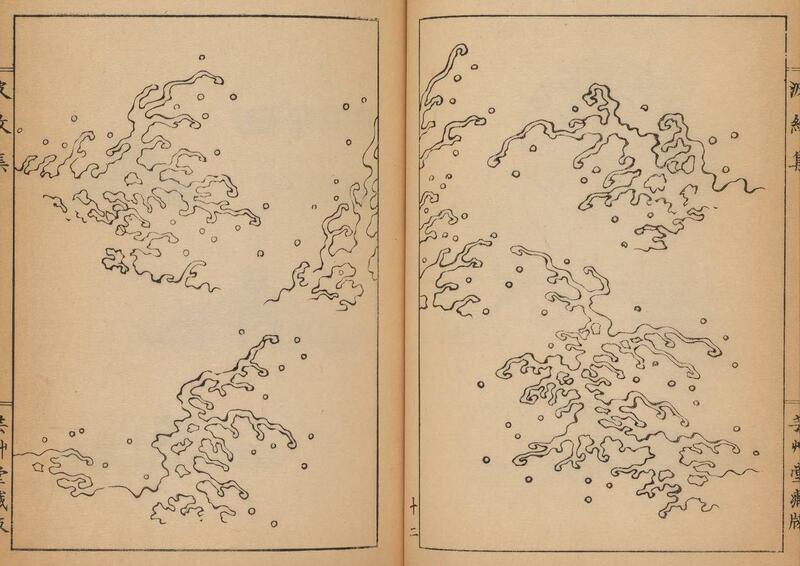 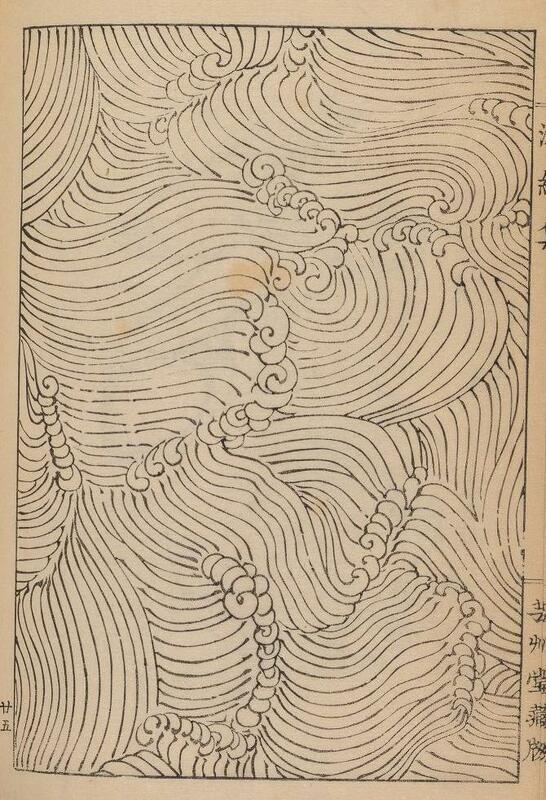 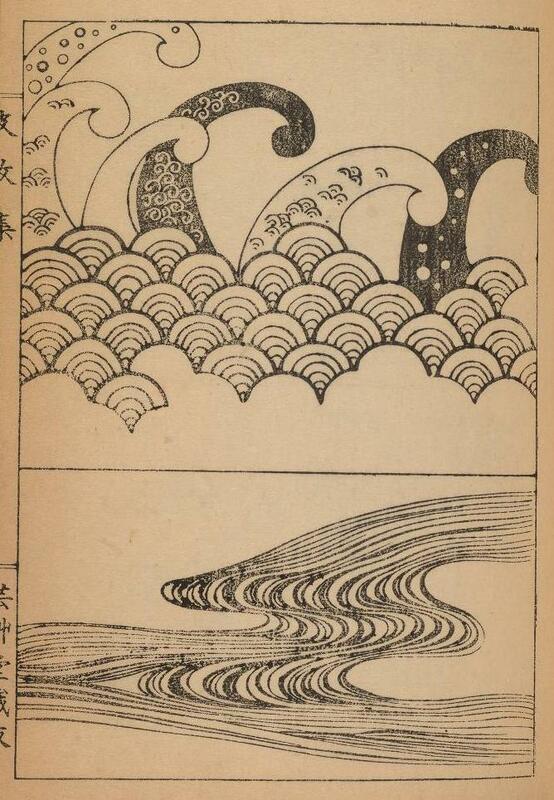 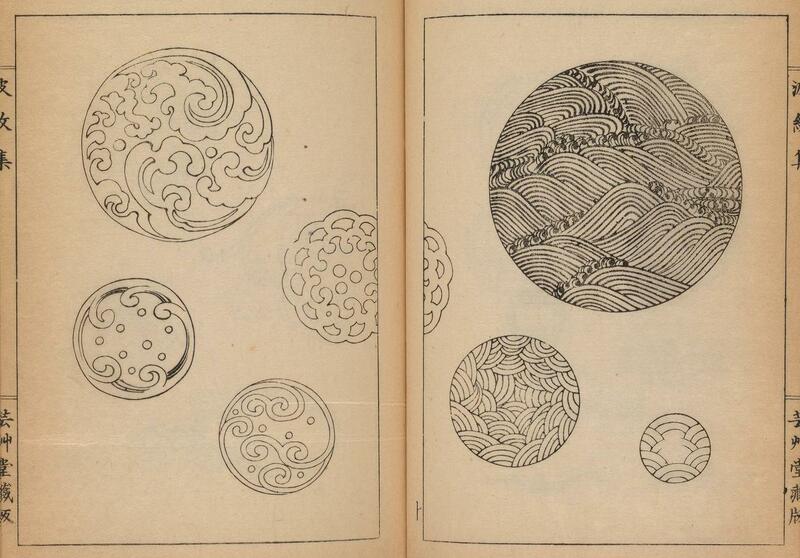 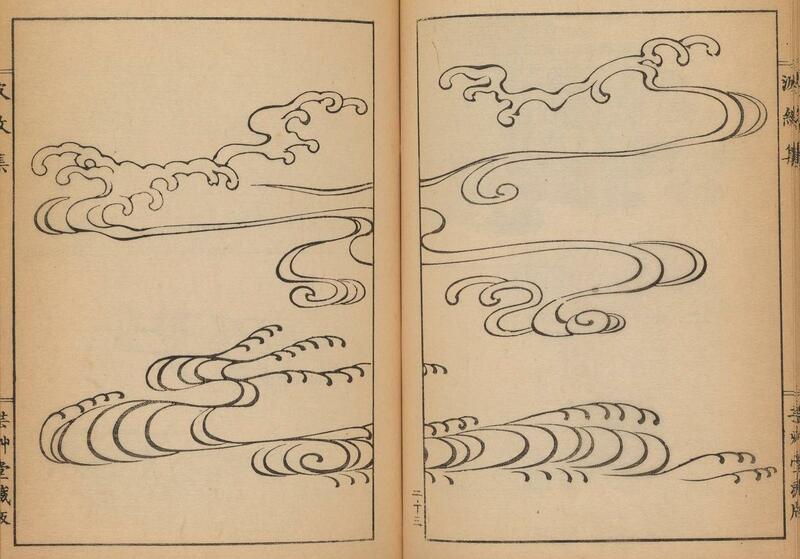 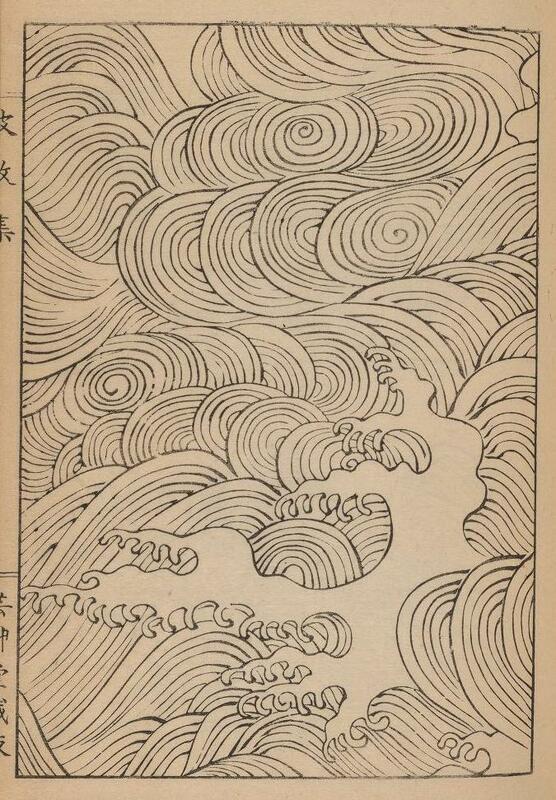 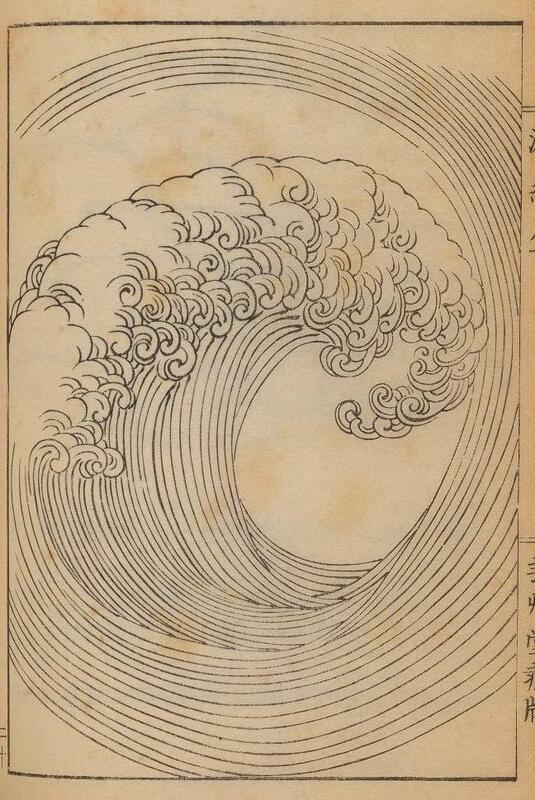 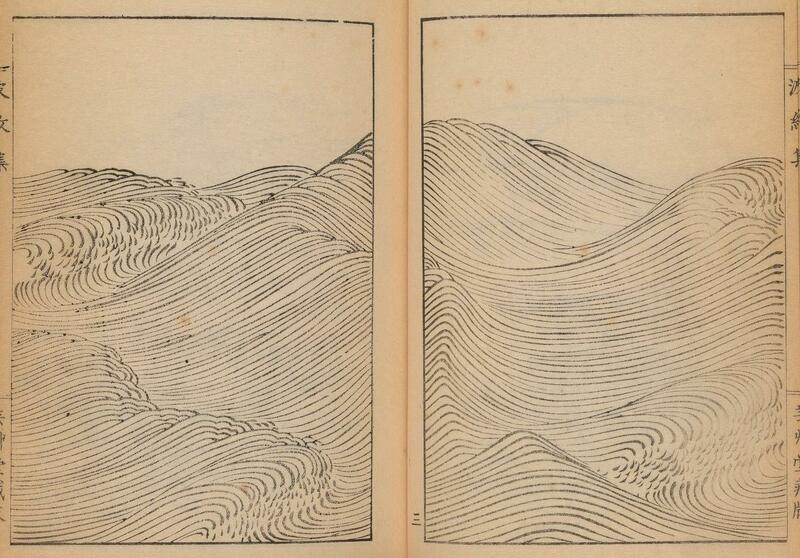 The three volumes above bring together a wonderful selection of wave and ripple designs produced by the Japanese artist Mori Yuzan, about whom not a lot is known, apart from that he hailed from Kyoto, worked in the Nihonga style, and died in 1917. 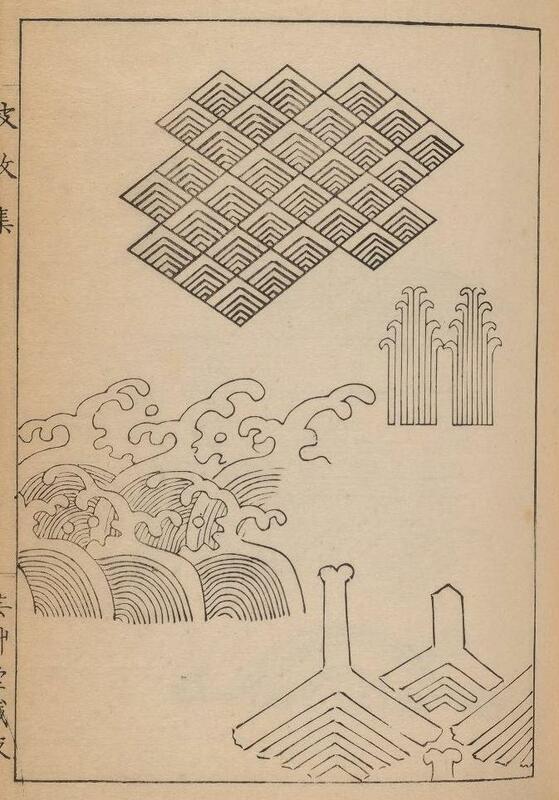 The works would have acted as a kind of go-to guide for Japanese craftsmen looking to adorn their wares with wave and ripple patterns. 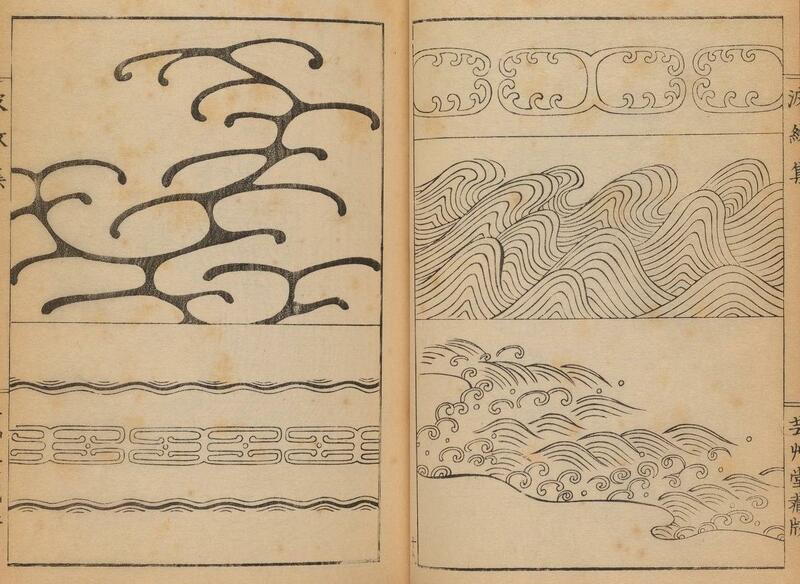 The designs would have found their way onto swords (both blades and handles) and associated paraphernalia (known as “sword furniture”), as well as lacquerware, Netsuke, religious objects, and a host of other items. 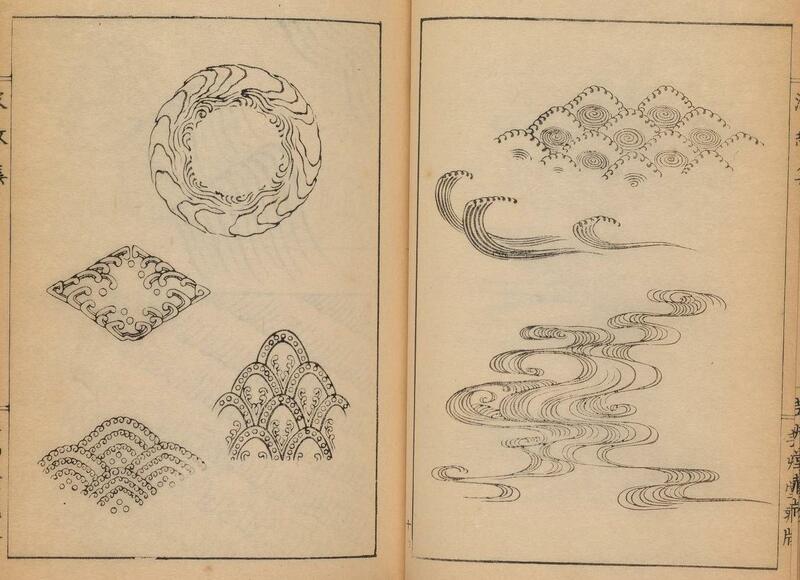 Peruse the pages above and also see some of our favourites below, including the excellent triple-page composite image (from volume 3) featured near the end. 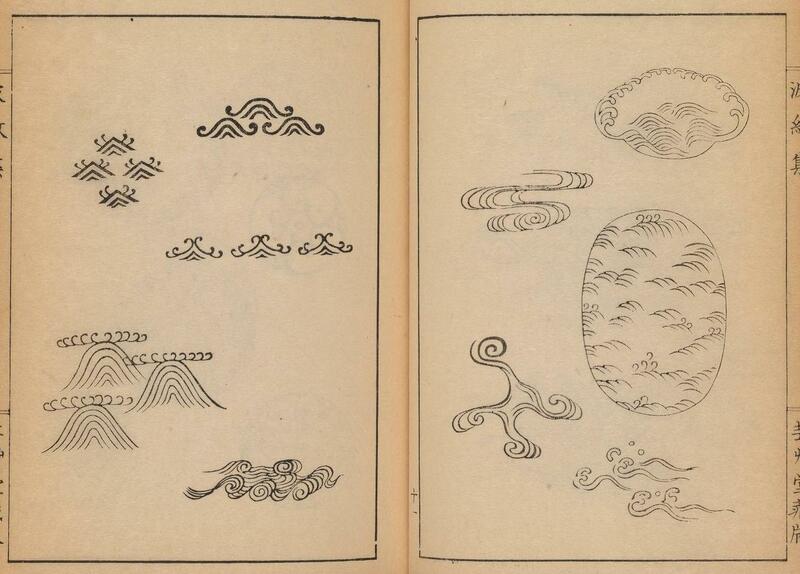 Housed at: Internet Archive, v1 / v2 / v3 | From: Smithsonian Libraries.